I'm hoping this has a Moroccan feel. 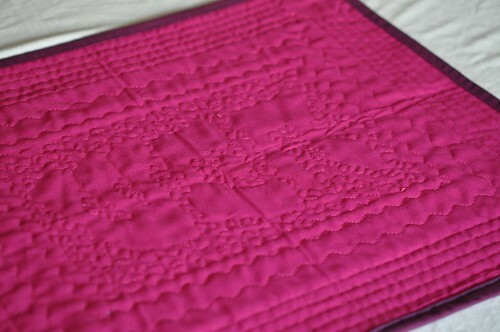 The back really shows the quilting!! More spaces over at Madame Koo's. Go check 'em out! I hope your space is creative today. Very Morrocan! I love these colours it looks awesome. Smashing! Is that a shot cotton binding? wow! 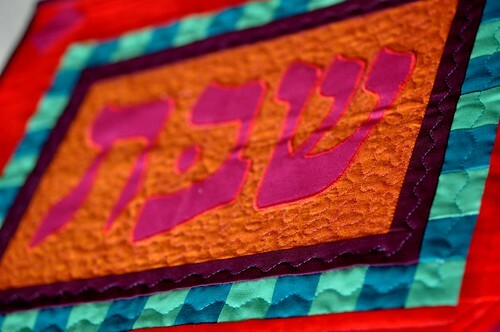 taht quilting is amazing!!!! Lovin’ the Scrappy Fun at Stitchin’ Heaven!